The sheer range of potential incidents and emergencies that can disrupt or even stop production are increasing. If managed correctly then not all of these incidents will become critical or be classed as a crisis, but those that result in increased losses or put increased demand upon the organisation will have serious consequences for the company, the shareholders and stakeholders or the country itself badly damaging the reputation of all those involved in the response. This course will teach you that meeting this commitment involves more than just being fully prepared. This course will enhance your leadership capabilities through assessment, syndicate role play, group discussions. You will enhance you crisis communication skills and develop team problem solving techniques and methods through various challenges. Participants will be given a full student manual with industry standards, audits, plans and checklists which are easily adapted to your own site specific needs, and a full electronic Crisis Response Manual and a video of how to use it. Leaders or responsible parties in charge of safety, emergency, or crisis management, for an organization, division, or municipality. These include, but are not limited to: ministry or government regulators; fire, safety and security professionals; risk, marketing and insurance professionals; designated incident, emergency and crisis response professionals; local fire and emergency response members; and other emergency response professionals. This course is also critical for line managers and supervisors wishing to appraise their comprehension of emergency response best practices. 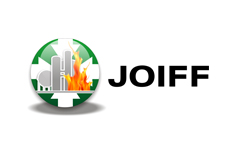 JOIFF is the leading international association for all Fire Hazard Management professionals. While the emphasis in fire hazard management is on prevention, protection and preparation of risk based scenarios, JOIFF members are also the first call officers / incident controllers at emergency incidents. Members, therefore, must be fully versed in all aspects of current fire, security, hazardous material and medical emergency response, and must be able to command operations involving fire and other emergency scenarios of all types varying from very minor incidents through to major catastrophic events.Key to all JOIFF accredited training and personal development of emergency responders is an accredited system of assessment and verification to ensure competence which should be demonstrated on an on-going basis. All successful participants attending JOIFF accredited training courses receive JOIFF accredited certificates of competence.